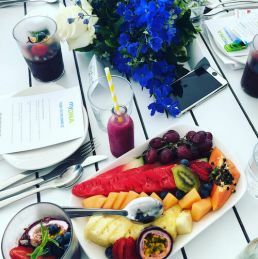 Lifestyle and health media and influencers attended an exclusive breakfast for the launch of myDNA. 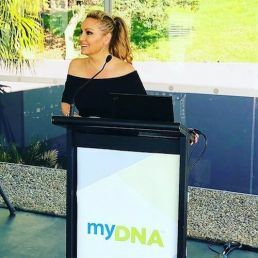 myDNA is an Australian genetic interpretation company that decodes the information in your genes to help you to live better. Our DNA tests can reveal how your body will uniquely respond to some medicines, what you eat and drink, and how you exercise. It’s personalised health. Guests were offered the opportunity to trial the myDNA tests and treated to a stretching and fitness session lead by Tim Robards & Belinda Norton- followed by a sit down healthy breakfast. 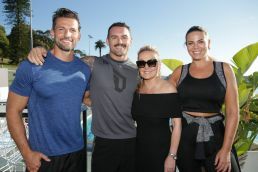 Key guests included Tim Robards, Fiona Falkiner, Natalie Roser, Dan Conn, Lisa Clarke, Scott Watters and Belinda Norton. 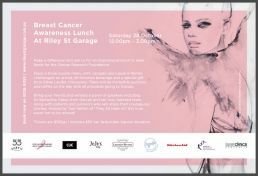 To raise funds and awareness of the the Garvan Institute, the Riley St Garage is holding an inspirational lunch to raise funds for Garvan Institute of Medical Research. October, of course, is breast cancer awareness month, and is definitely a time for all of us to think about what effects it has on women and men around the world. 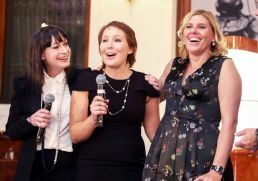 This one day event will feature a panel of speakers including the brilliant Dr Samantha Oakes who is the inspirational Head of the Cancer Cell Survival Group at Garvan. “However what we have also learnt is that a breast cancer that forms in one patient is unique from the next. Every time we hear about a new ‘breakthrough’ for breast cancer, it means we may have helped at least one person survive. It’s another piece of the big puzzle that makes up this horrible disease. That’s why we need to keep raising awareness, keep raising money to continue to invest in research and provide new treatments for this complicated set of diseases. The ‘management’ of various grades of cancer has been extraordinary but what the most exciting find? “In recent times, cancer immunotherapy has been a game changer for the treatment of advanced disease, curing patients with melanoma that once had no hope,” adds Doctor Oakes. “However at the moment, only a small number of patients benefit, and we do not understand why. For patients with advanced or high grade breast cancer, the same is true, but worse, even fewer respond. “The trick now is to learn how to make more of these patients with high grade breast cancers respond and this is one of the main projects I am working on.” I also asked Dr Oakes how rewarding working in an industry that does save lives make her feel. “My job is highly rewarding because everyday I get into the Kinghorn Cancer Centre lifts and ride together with patients who are undergoing treatment for various types of cancer. “I know that what I am doing will hopefully one day help save someone like them. Some breast cancer patients are already benefiting from the work I did over the last 10 years. “The flip side is that I wish I could help them today. It makes me sad that I can not help all patients now, but this gives me the added motivation to work even harder to make sure that one day we can look at breast cancer (and others) as a chronic curable disease. Some if the most recent stats in Australia on the amount of women (yes, and men) who have/had/survived breast cancer are fascinating. The estimated number of new cases of breast cancer diagnosed in 2017 is 17,730 with 144 males and 17,586 females; the approximate % of all new cancer cases diagnosed in 2017 is 13%; the Estimated number of deaths from breast cancer in 2017 is 3,114 with 28 males and 3,087 females and the Estimated % of all deaths from cancer in 2017 is 6.5%. Most importantly, the chance of surviving at least 5 years (2009–2013) is 90% and people People living with breast cancer at the end of 2012 (diagnosed in the 5 year period 2008 to 2012) was 65,976. 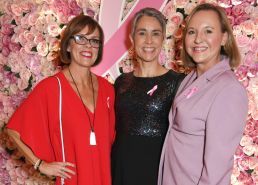 Dr Oakes says the awareness of breast cancer is made even greater when big companies get on board – the likes of a fashion retailer like Cue is just one strong example. “The support of big companies help the spread the importance of awareness and CONTINUED support for research,” adds Dr Oakes. “Education is key and the bigger the networks the easier we can get the message out. Cue Clothing Company is a proud Australian brand producing quality clothing for beautiful women. Dr Oakes says If you want to hear more about her important research, anyone can come to the Riley Street Garage Breast Cancer Awareness Event for Garvan. Hosted by fashion blogger Tash Sefton, guests will munch into canapés and Laurent-Perrier champagne on arrival followed by a 3-course share menu accompanied by a selection of wine from JoJo’s Jetty and gifts from Estée Lauder companies. The Petersen Family Foundation who are have a long affiliation with Garvan & Kinghorn Cancer Centre will be a major sponsor at the lunch. The foundation is dedicated to funding important medical research and are passionate supporters of Garvan. A raffle will include prizes from Cue, KitchenAid, Laurent-Perrier, Laser Clinics Australia, Frank Provost, Happetite, artwork from Fiona McClean along with beauty hampers from Estée Lauder Companies with all proceeds going to Garvan – the Institute whose mission it is tomake significant contributions to medical research that will change the directions of science and medicine and have major impacts on human health. To see Samantha Oaks and her team speak join us at Riley St Garage in Surry Hills at noon on Saturday 28th October, where Cue will proudly match all funds raised on the day. Go on. Grab a table, book a seat, learn something and help raise awareness along the way! 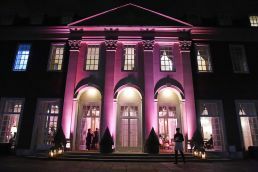 On Monday October 9, Winfield House, the residence of the Ambassador of the United States of America to the Court of St. James’s lit up pink to honour the 25th Anniversary of The Estée Lauder Companies’ Breast Cancer Campaign (formerly known as The Breast Cancer Awareness Campaign) and the co-creation of the iconic pink ribbon by its visionary founder, the late Evelyn H. Lauder. 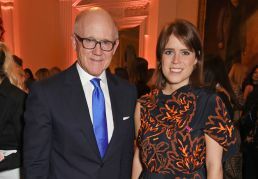 Robert Wood Johnson, Ambassador of the United States of America to the United Kingdom and his wife, Suzanne, hosted a reception at Winfield to mark the occasion, along with Evelyn’s son, William P. Lauder, Executive Chairman of The Estée Lauder Companies Inc. and Elizabeth Hurley, Global Ambassador for The Breast Cancer Campaign. This comes on the same day that the 2017 Future Dreams Humanitarian Award was presented to William P. Lauder, in recognition of his mother’s pioneering work in breast cancer awareness and research. William P. Lauder, Executive Chairman of The Estée Lauder Companies Inc., continues to honour the legacy of his late mother and proudly champions The Campaign’s work worldwide stating: “Supporting the development of critical research, driving awareness, and helping to eliminate the cultural barriers that can prevent the identification and treatment of breast cancer have been our core Company focus since my mother Evelyn H. Lauder founded The Breast Cancer Campaign 25 years ago. 25 years ago there was no pink ribbon. Women around the world were dying from breast cancer and there was very little discussion about it. Mrs. Lauder saw an urgent need to bring breast cancer to the forefront and put a spotlight on this world health issue. In 1992, she became a pioneer for the breast cancer movement, co-creating the pink ribbon and launching The Estée Lauder Companies’ Breast Cancer Campaign (The Campaign). A year later, she founded the Breast Cancer Research Foundation® (BCRF), a non-profit organization, to generate funding solely dedicated to breast cancer research. Today, the pink ribbon is the ubiquitous symbol of breast health and The Campaign is a global leading voice for breast cancer, igniting a worldwide movement that has funded innovative research and awareness, and inspired meaningful action. To mark the 25th Anniversary, The Estée Lauder Companies has a new mission: to create a breast cancer-free world. A bold, thought-provoking visual of a tattered pink ribbon is being introduced, showing the wear and tear of 25 years of hard work, dedication and impact trying to cure this disease. It also represents the hope that in 25 years, there will be no need for a pink ribbon; breast cancer will be committed to the history books. The Campaign no longer carries the word “Awareness” as breast cancer now has the global spotlight it deserves, moving into the future with a new rally – it’s time to end breast cancer. The Campaign is now active in more than 70 countries around the world, partnering with more than 60 regional organizations to address areas of most critical need. The Campaign has raised more than $70 million to support global research, education and medical services, funding 225 medical research grants through BCRF ($56 million from total funds raised). In 2017, BCRF invested more than £1 million in UK research, with nearly £10 million raised to date since the Campaign began. Surgery is not as invasive, and most women can have a lumpectomy and not a full breast removal (mastectomy). In the UK the following brands of The Estée Lauder Companies will support The Campaign’s mission: Aveda, Bobbi Brown, Bumble and bumble, Clinique, Darphin, Estée Lauder, Jo Malone London, La Mer, Lab Series, Origins, Smashbox and Tom Ford Beauty. Each will contribute by selling Pink Ribbon Products or making donations to BCRF and/or other charitable organizations around the world. This assortment differs by country and organization. To support the 25th Anniversary of The Estée Lauder Companies’ Breast Cancer Campaign, visit bcacampaign.com, follow on social media @bcacampaign and use #PinkRibbon25. 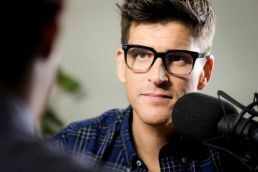 The ABC will release a third season of the popular live storytelling podcast, Tall Tales & True, a season presented by Osher Günsberg to mark World Mental Health Day on Tuesday 10 October. Tall Tales & True season three is a curation of stories from people living with mental health challenges, including a story from Günsberg himself.“I was so excited to be asked to present this season of Tall Tales & True,” Günsberg said. SANE Australia is an organisation that has been helping Australians live with complex mental health issues, for over 30 years. 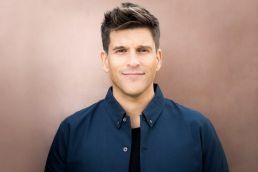 Günsberg publicly shared the story of his own mental health journey in 2016 at a live storytelling event and acknowledges that part of his recovery was listening to other people tell their stories, and opening up about his own. “The good people at the ABC heard me tell my story and asked me to present the new season of Tall Tales & True to mark World Mental Health Day and the stories are amazing – they are enlightening, heartbreaking and hilarious all at the same time,” Günsberg said. Other storytellers featured include: David Cunningham who works on ABC’s The Checkout, an occasional comedian and history academic; leading Australian author and essayist – Melissa Lukashenko; founder of the Stay Chatty charity – Mitch McPherson; and Donna Thistlethwaite from season two who features in a special follow-up interview with Osher, after her appearance in ABC’s Australian Story in an episode called ‘The Bridge’. 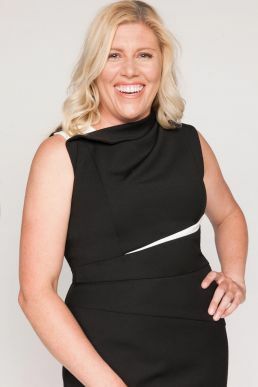 Author Rosie Waterland, who came to prominence writing about Osher Günsberg in The Bachelor television series, also makes a brief special appearance in a chat about the process of writing about mental health. Six episodes of Tall Tales & True season three are available on ABC listen, Apple Podcasts or wherever you get your podcasts. 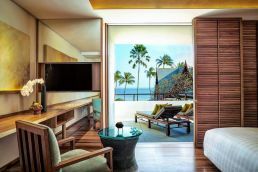 Pioneering Thai health and wellness resort, Chiva-Som has introduced its newest Speciality Retreat, Art of Detox, in which guests will presented with a fully-tailored personalised dietary focussed program. A dedicated Chiva-Som advisor will assist guests in discovering their ideal diets and balancing nutrients while herbal and nutritional supplements will ensure the detoxification process cleanses the body of toxins. 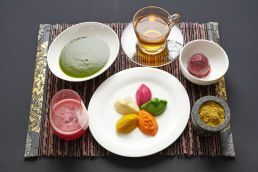 Through Art of Detox, guests will discover a new path towards more nourishing foods that will bring their digestive and metabolic systems back to their optimal function for sustaining health. 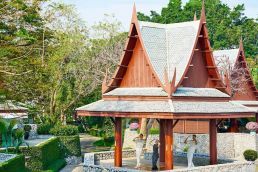 Chiva-Som has been guiding guests through safe and effective detoxification for many years and, with this wealth of experience, is able to advise and tailor this program to suit the guest needs and goals. Guests can opt for either radical or gentle dietary change. 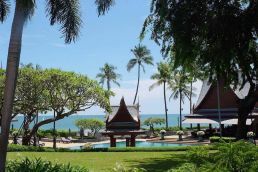 The Art of Detox is also available for 7, 10 and 14 nights. 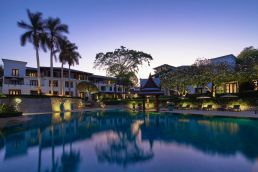 For bookings of the Chiva-Som Art of Detox Speciality Retreat contact your travel agent or a Chiva-Som Specialist on 1300 857 437.